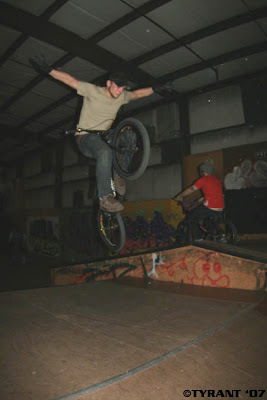 So the 2007 Dondor Jam was a total success with at least 40 riders showing up to shred. The Dondor Jam T-Shirts donated by TYRANT were a total hit as well with all 22 being tossed out to the riders. "Dondor" Don Pavelka was going off as expected and many other riders were going big! 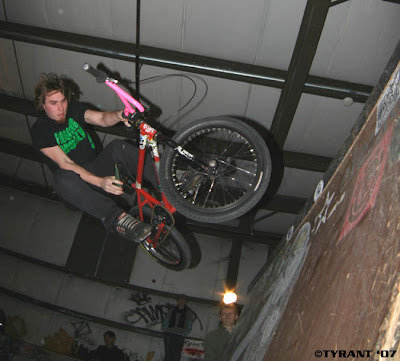 Check out the photos at TYRANT's Flickr. * It's going to take time to get comfortable with my new camera, not to mention the lighting at MSC is HORRIBLE!!!. I took a lot more photos than I posted, but sadly all the others came out lousy! Sorry to all who I took shots of and didn't get a quality image! **A thanks to Matt Lolli for letting me borrow his fish eye lense for the event.